GA Geijutsuka Art Design Class is a Japanese manga series by Satoko Kiyuzuki, which was published since 2004. In 2009 it was adapted to 12 episode anime TV series. 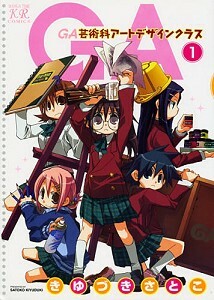 The story rolls around Kisaragi Yamaguchi, who is attended to art design class with her five friends. 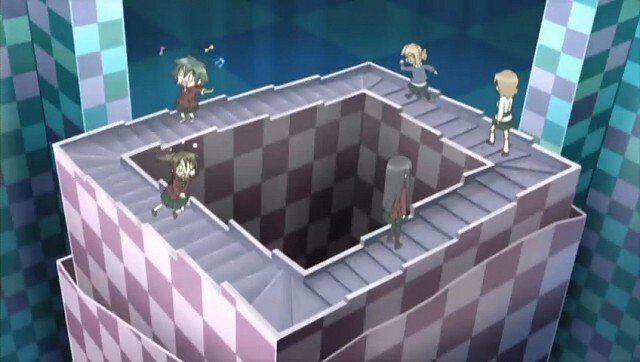 There's an endless staircase in the opening of each episode. 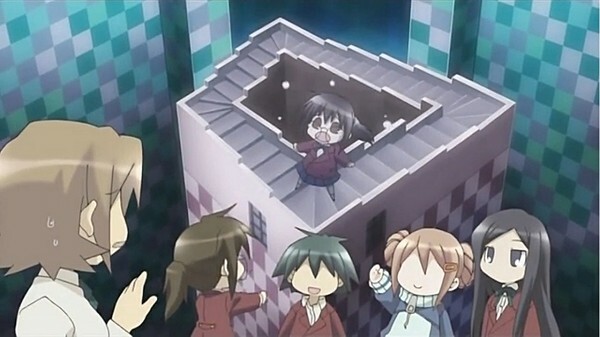 Also, Kisaragi appears on the endless staircase in episode 07 after her friends told horror story to her.